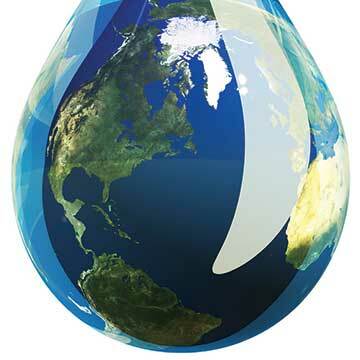 Every April 22, people across the globe unite to celebrate Earth Day – the largest environmentalist movement worldwide. Together, they embrace environmental activism and support the protection of our planet. Beyond their efforts to clean waterways, plant trees, minimize pollution, and reduce climate change, they promote awareness of environmental issues. This year’s global event marks the 49th Earth Day celebration. The theme “Protect Our Species” aims to slow the rate of extinction and save threatened and endangered species. From California and New York to England, Germany, Indonesia, and beyond, more than one billion eco-minded people will be pitching in to make a difference. Earth Day Network is the non-profit organization behind this annual initiative. Its team works year-round to solve climate change, end plastic pollution, and protect endangered species. Since its inception, the organization has recruited more than 50,000 partners who hail from approximately 193 countries. Earth Day Network and the annual Earth Day event are applauded for their accomplishments including planting hundreds of millions of trees in 32 countries. One year, it organized a record 1,100 Earth Day college campus events, which included more than 230 voter registration projects, which went a long way in making a difference. It also introduced The Story of Climate Change, the first interactive digital textbook. A public rally held on April 18, 2015 at the National Mall in Washington, DC, united leaders, corporate innovators, and dignitaries. Many organizations made a pledge to address climate change. Among them was Global Environmental Facility’s announcement of a $200 million investment in ocean cleanup. Thanks to the efforts of Earth Day Network, activists, and concerned citizens around the globe, there’s a wealth of awareness about this annual event. However, Earth Day’s early history and evolution have escaped many. Let’s travel back a few decades to explore its roots. Gaylord Nelson, a former US senator and environmentalist from Wisconsin is credited as the founder of Earth Day. Distressed by the 1969 oil spill in Santa Barbara, CA, in which thousands of sea creatures perished, Nelson yearned to make a difference. Inspired by the student activism that fueled the anti-war movement in Vietnam, Nelson channeled his fervor into action. At the time, there was increasing awareness about the environment. Many people credit the 1962 release of Rachel Carson’s Silent Spring, which documented the misuse of chemical pesticides and its adverse effects on the environment. With a mission to cast environmental protection onto the national political agenda, Nelson announced his idea for a national teach-in on the environment. Pete McCloskey – a congressman from California served as co-chair. The duet was joined by Harvard University student Denis Hayes who served as national coordinator of the first Earth Day. The date April 22 was selected because it fell between Spring Break and final exams. On April 22, 1970, an estimated 20 million people participated in nationwide rallies and peaceful demonstrations, which were held at thousands of colleges and universities and in communities across America. They also planted trees, cleaned parks, and pitched in with other initiatives. By the end of the year, the efforts, actions, and initiatives of the first Earth Day led to the creation of the United States Environmental Protection Agency and the passage of the Clean Air, Clean Water, and Endangered Species Acts under President Richard Nixon. The 1990 Earth Day celebration marked a milestone celebration in which Hayes spearheaded a movement to take Earth Day global. With Hayes at the helm, the event garnered support from 200 million people in approximately 141 countries. The year 1995 marked another milestone when Nelson was awarded the Presidential Medal of Freedom for his role as founder of the event. In 2000, Hayes spearheaded another campaign that harnessed the power of the internet. Five thousand environmental groups, which hailed from 184 countries, reached out to hundreds of millions of people. This year, mark your own milestone by making a commitment to participate in Earth Day. Get inspired by visiting www.earthday.org to explore ideas and find out how you can make a difference. Next year, Earth Day will mark another milestone when it celebrates its 50th anniversary. The Woodrow Wilson International Center for Scholars and the US Department of State teamed up to launch Earth Challenge 2020, which has a mission to engage millions of global citizens to aggregate and collect more than one billion data points on air quality, water quality, biodiversity, pollution, and human health. The beauty and bounty of the Hudson Valley area has also inspired – and continues to inspire – others to pitch in to make a difference. Decades ago, musician, singer, songwriter, and folklorist Pete Seeger of Turn! Turn! Turn! fame, launched the Clearwater – a 106-foot long replica vessel of the sloops that once sailed the Hudson in the 18th and 19th centuries. In 1966, the Hudson River was rank with raw sewage, toxic chemicals, and oil pollution. Many fish vanished. “Pete Seeger was in despair over the state of the river. His idea was that by building this beautiful sloop, people would be able to experience the Hudson River in a new way and be inspired to protect it,” says Erin Macchiaroli, director of operations, Hudson River Sloop Clearwater. In an effort to educate and promote preservation, the activist, environmentalist, and peace advocate launched the Clearwater in 1969. “Clearwater is a pioneer of onboard environmental education programs. Many programs throughout the country have been modeled after it,” adds Macchiaroli. The sloop is recognized as a symbol of grassroots action through hands-on learning, music, and celebration. Clearwater continues to forward Seeger’s legacy and mission. It sails with many schools and groups, including Ulster BOCES, Beacon City School District, Lenape Elementary School, and Marist College. Programming includes the sailing classroom program, which invites students to go on a sail, as well as in-class programs in which educators visit students in the classroom. The Clearwater also offers tideline programs, where students meet the educators on the shores of the Hudson. Subjects range from ecology to water quality, history of the river, navigation, and climate change. In 2004, the Clearwater was named to the National Register of Historic Places. Visitors are welcome to come aboard one of the Clearwater’s many public sails, which are available throughout the season. The sloop is also available for private charters. For more, visit www.clearwater.org.